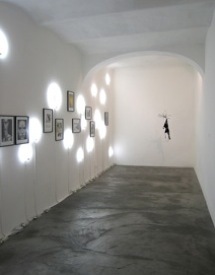 Surasi Kusolwong describes his work: ‘in the first room 20 circular fluorescent lights installed randomly on the wall surround and wrap around six collages whose images combine suggestive advertising with arte povera, minimalist and conceptual, also mixing it with popular images of social and political movements. On the floor, 7 rectangular mirrors create a 45 degree angle and above them a silver object will hang from the ceiling. These elements define the environment and prepare the site to make things happen on the opening day. A charming and beautiful woman enters the room and hangs a bra on the silver object. Then a man and a woman with short phrases written on their bodies move towards the audience’. 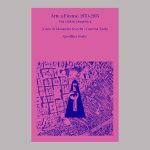 The project for BASE – Changing (I think there is something going on here) – as in all his other works, rather than a performance, will be a collective happening in which all participants are the same, actors and authors of that moment and that result that we call art.